CHECK OUT SOME OF OUR BREAKFAST SPECIALS! Amazing omelettes, signature benedict’s, creative pancake surprises and more! Come for the breakfast, stay for the lunch, Now open for dinner! Try some of Art’s unique and decadent creations! Here is a limited amount of items available currently at Art’s Skillet. Please feel free to call or visit the restaurant for a more detailed menu. Crispy bacon, American cheese, tomatoes served over shredded lettuce and side of fresh fruit. Cream cheese, baked bacon, chorizo sausage, combo cheese, and onions. Jalapenos, seasoned diced chicken Breasts, tomatoes, onions and green peppers with combo cheese. Served with salsa and sour cream. Diced gyro meat, tomatoes, onions and feta cheese. Fresh Spinach, bacon, fresh mushrooms, and cream cheese topped with diced tomatoes, cream cheese, and a sprinkle of mixed cheeses. Corned beef hash, potatoes, peppers, onions, cheese and two fresh eggs. Loaded with potato pancakes, diced smoked sausage, house made gravy, combo cheese and two fresh eggs. 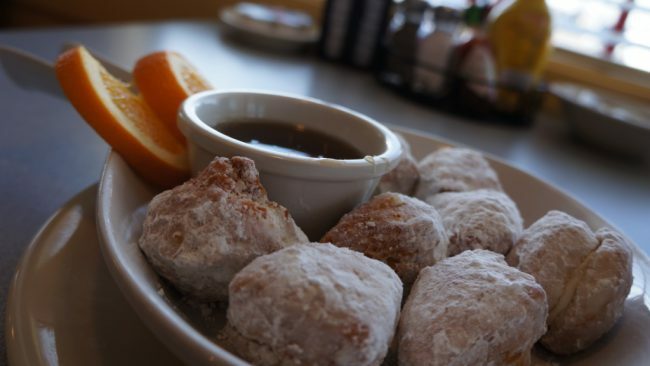 Served with your choice of our breakfast bread. Bacon, sausage, ham, skillet potatoes, fresh eggs, cheese with peppers and onions. Topped with gravy. Made with diced potatoes, scrambled eggs, turkey sausage, chicken, peppers, tomatoes, onions, and cheese all mixed together. 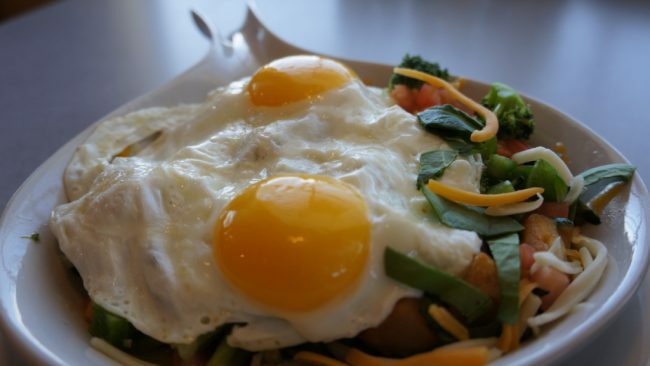 Peasant potatoes tumbled with array of veggies, held down with melted jack and cheddar cheese and two fresh eggs. Loaded with bacon, sausage, ham, skillet potatoes, green peppers, onions, covered with melted Jack and cheddar cheese crowned with two fresh eggs. Grilled breakfast ham, two poached eggs, hollandaise sauce, green onions, on a English muffin. Thick Texas bread, dipped in a rich vanilla cinnamon egg batter and grilled to a golden finish. Served with a side of cinnamon apples or blueberry compote. Five egg whites with turkey sausage, multigrain toast and fresh fruit. Fresh mushrooms, broccoli, cream cheese and a hint of dill are cuddled in scrambled eggs. Served with hollandaise sauce on the side. Our homemade chorizo sausage served with flour or corn tortillas with salsa and sour cream on the side. Corn tortillas with refried beans, avocado, cheese and two eggs over medium, includes skillet potatoes. Scrambled eggs, diced ham, fresh diced pineapples and melted American cheese. Served with a dish of fresh fruit and raisin toast. Bacon, sausage, ham mixed with eggs, onions, peppers, diced potatoes and cheese baked to perfection. Served with fresh fruit garnish and multi-grain toast. Marinated chicken breast pan fried with onion, jalapenos, tomatoes, cilantro, lemon, Monterey and cheddar cheese, between a flour tortilla. Salsa and sour cream on the side. This quesadilla is loaded with combo cheese and ham. Served with guacamole on the side. Scrambled eggs with onions, jalapenos and tomatoes. Served with refried beans and three corn or flour tortillas. A sizzlin’ 6 ounce sirloin steak plated with two fresh eggs* and a pile of peasant potatoes or harsh browns. Served with toast. Two fresh baked biscuits, smothered with our homeade sausage gravy, Topped with sausage, jalapenos and combo cheese. 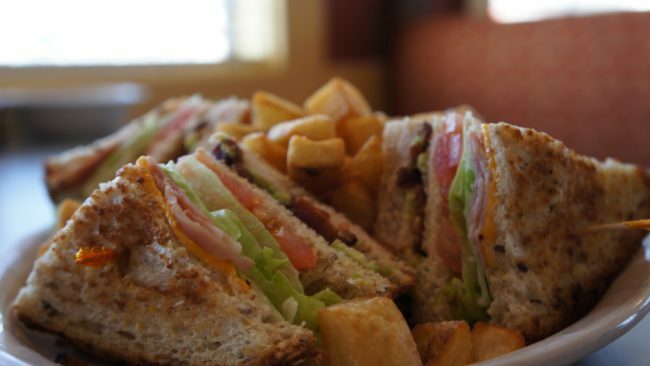 All platters are served with your choice of one: French fries, cup of today’s soup or a small house salad. Grilled chicken topped with lime ranch dressing and combo cheese with lettuce, tomato and red onions. Garnished with Lettuce, tomato, onion and mayo. Fresh spinach, blended with mushroom slices, strawberries, Mandarin oranges, and our own dressing. Served with warm garlic bread. Made with two eggs and choice of two ingredients. Served with toast or one pancake along with potatoes or fruit. 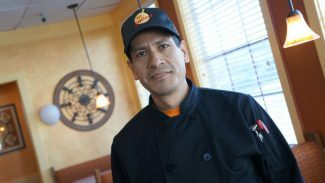 Are you looking to work for a growing, local, and customer focused restaurant? Art’s Skillet is looking for a few great men and women that love customer service, great quality good, and delivering the best to customers. Handle the table bookings, direct customers to their tables, presenting menus, suggesting dishes, making sure guests get drinks, and refills, informing customers about food preparation details, communicating specific customer needs to the cooks. Greet all guests warmly with an appropriate greeting. Seeking a Cashier position for Art’s Skillet where excellent customer service and cash handling skills can be utilized to develop the restaurants efficiency. • Highly skilled in using cash registers, and calculators to calculate the price of items that customers buy. • In-depth knowledge of trouble resolution. • Thorough understanding of counting money in a register at the beginning and end of shift. • Demonstrated ability to assist customers with bills, communicating to them about gift certificates, or other services. • Proven ability to answer customers’ questions and give information regarding the business procedures and policies in an exact and customer-friendly way.